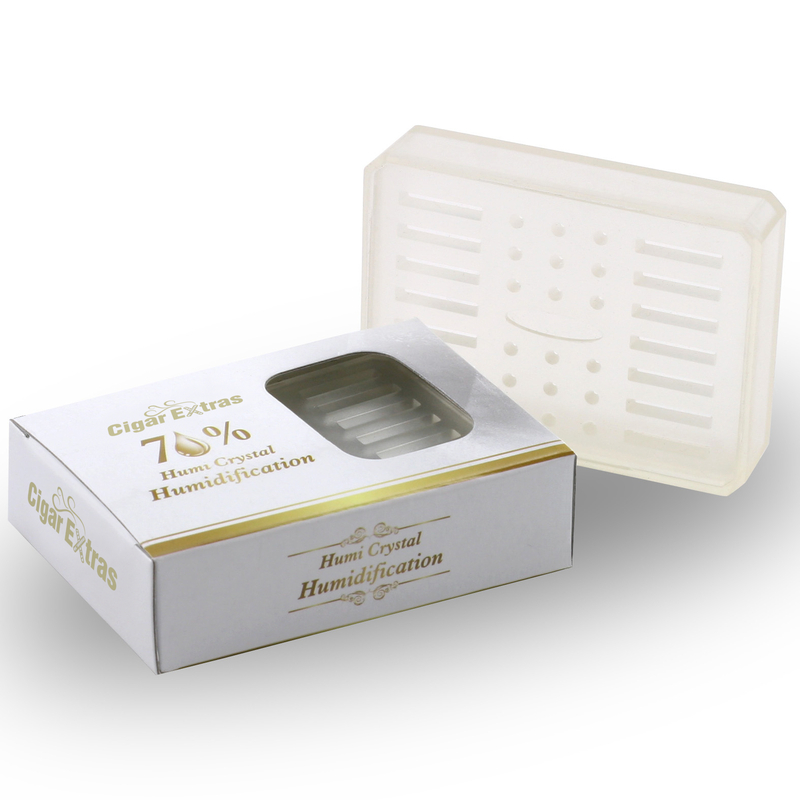 This rectangle humidifier contains gel crystals to keep your humidors temperate and your cigars in perfect smoking condition. The plastic case mounts with a metal plate and attachable magnet. This humidifier will be sufficient for a humidor with 100 cigars, use multiple humidifiers for larger capacity humidors. To use humidifier fill container 2/3's with a solution mix, we recommend CigarExtras Glacier Mist and Starter solution in equal proportions.